The 2000 Classic is the continuation of the award winning Blue Wave series design. It's the perfect combination of new technology and manufacturing processes with features and innovative design. Loaded with new features and value never before seen in a bay boat this will be the most amazing bay boat on the water. 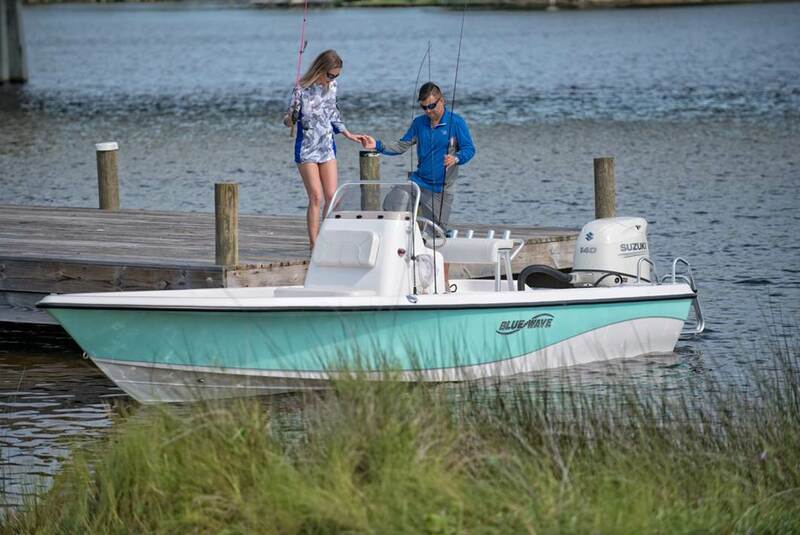 The new Blue Wave Classic models allow a price point approach to new boat ownership. All Classic models are built to the same rigorous Blue Wave Boat standards using state of the art material and manufacturing processes. The Blue Wave Classic series feature large insulated storage boxes that drain overboard, rod storage, self bailing cockpits, rear deck flip up seats, multiple live wells, exclusive new Classic console design and an abundance of standard features that insure an outstanding value and is backed by Blue Wave Boats Limited Lifetime Warranty.